Otis College prepares diverse students of art and design to enrich our world through their creativity, their skill, and their vision. At Otis College we promote excellence and innovation within a rigorous yet caring and collaborative environment. Students are encouraged to be individualistic and passionate in their approach to art and design. 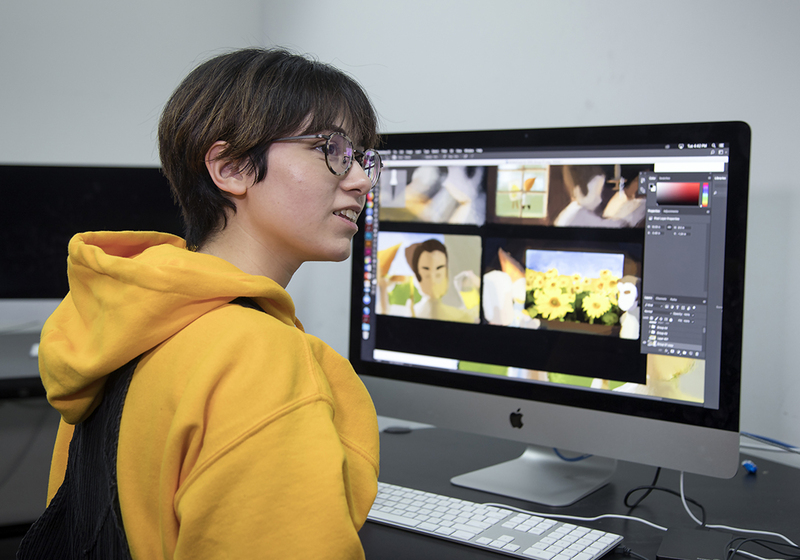 As Los Angeles’ first independent professional school of art and design, Otis College is located on the west side of Los Angeles in the heart of Southern California’s creative community. The nearby coastal communities of Venice, Marina del Rey, and Santa Monica are home to many of Los Angeles’ most important art and design studios, as well as headquarters for many leading film, digital imaging, video game, and toy companies. Throughout your Otis College experience, the Admissions office is available to answer questions about Otis College and applying to a college of art and design. All Summer of Art students are invited to drop in any weekday at 4:20pm to speak with an Admissions Counselor and receive an informal portfolio review. In addition to one-on-one appointments, Admissions holds a Portfolio Review Night and an Art School Prep Information Session. All Summer of Art alumni who apply to Otis College will have their application fee waived. Contact admissions@otis.edu for details. One accepted Otis College undergraduate applicant who has completed the Summer of Art program with outstanding artistic and academic achievement and who meets the Otis GPA requirement will be selected to receive an $80,000 scholarship award towards tuition for Otis College of Art and Design, to be paid out over the course of four years. Elaine's café provides a diverse menu that includes hot entrées, salads, and snacks with vegan, vegetarian, and gluten-free options. There is also a convenient "Grab and Go" coffee shop that serves drinks, pastries, and other breakfast & lunch items. The campus is within easy walking distance of a variety of restaurants, cafes, and grocery stores. The Housing Program includes a meal plan with three meals a day Monday through Friday and two meals a day on Saturday and Sunday. Commuting students can now use their Otis College student ID, called the "One Card" to purchase on-campus meals as well—see the Tuition and Fees page for details. The college's art supply store, Graphaids, provides a selection of supplies for art and design classes. Millard Sheets Library has a relaxed atmosphere where creative students meet, study, browse, and find inspiration. The library is open to Summer of Art students during regular hours, however check-out privilages are not available.